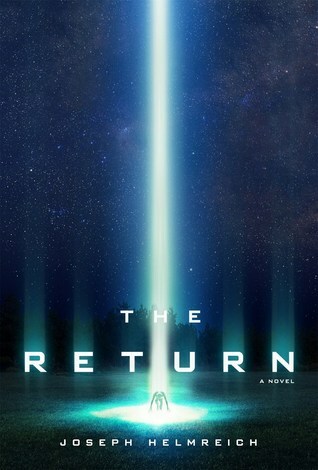 The Return is the first novel by journalist and screenwriter Joseph Helmreich—a sci-fi thriller with a fresh take on an old trope: Alien Abduction. After years of conspiracy theories, physicist Andrew Leland unwittingly proves the absolute existence of aliens when he is abducted on live television. Seven years later, he is found mysteriously wandering in the desert with no memory of the event. What follows is a tangled web of alien schemes, the obligatory shadowy government organizations, and a determined physics student who doesn’t know when to leave well enough alone. This was one of those books that I read cold, and honestly, I wasn’t all that impressed. It was generally enjoyable, but it I didn’t think it lived up to its premise. The plot felt disjointed, and it wasn’t clear to me why some things were happening. The central conflict of the humans and the aliens fighting over their mysterious (and somehow unique and irreplaceable) cold fusion source to try to destroy each other was generally fuzzy, and the ending was rushed and just seemed unsatisfying to me. I get the impression that Helmreich was going for the Inscrutable Aliens angle, but it didn’t quite mesh with the rest of the plot. The government conspiracy angle didn’t help either. I can understand the secret government conspiracy existing, but when a twenty-first century western country starts kidnapping and murdering its own citizens to maintain that conspiracy, it strains credulity. Overall, I was entertained by The Return, but I can’t honestly say that it’s up to the standards of the truly great books out there. My rating: 3 out of 5. This entry was posted in Book reviews and tagged Joseph Helmreich, The Return. Bookmark the permalink.